For many, soup is a wintertime staple. It’s warm, filling and oh-so delicious. Plus, the options are seemingly endless: From lentil and split pea to chicken noodle, there really is something for everyone. And Panera’s new soup is no different. The fast-food chain just unveiled another flavor, and this one is vegetable-based and totally vegan. The new 10-vegetable soup is also low-cal and Mediterranean diet-approved. And as its name implies, the soup is full of nutrient-packed veggies. 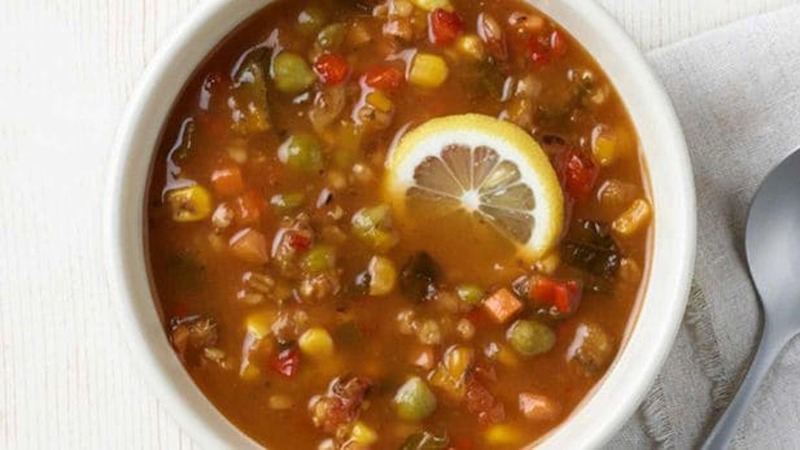 According to Panera’s website, the 10-vegetable soup is made with tomatoes, carrots, onion, celery, red and yellow bell peppers, poblano peppers, corn, garlic and Swiss chard. These ingredients are then placed in a seasoned stock, and the soup is served with a lemon wheel. This isn’t the chain’s only new item. In September, Panera announced they would be selling (and serving) build-your-own mac and cheese. The same month, they also unveiled a Cuban sandwich and turkey chili and this month, Panera launched a new salad: the spinach, bacon and poppy seed salad. As for the soup, you can get it one of three ways: in a cup, bowl or bread bowl. A cup has 70 calories, a bowl has 100 calories and a bread bowl has a whopping 690 calories, 590 of which come from the carb-loaded base. But if you are looking for a ~souper~ supper (pun intended) — or a decadent lunch — the latter may be the way to go, because while the calorie count is high, we have no doubt this hearty meal is worth every calorie.